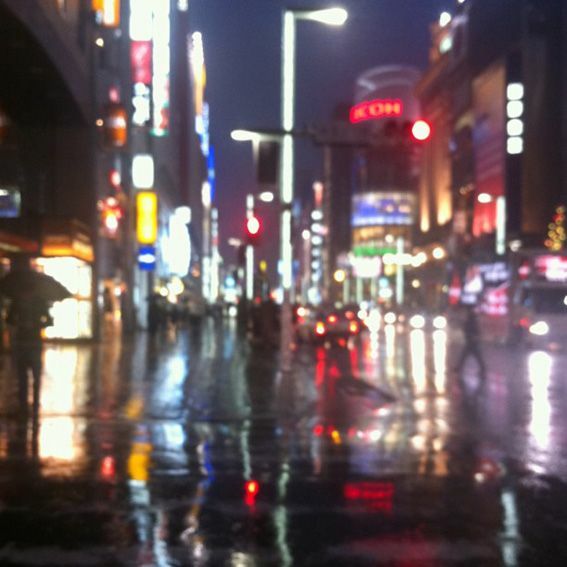 Rainy, shiny and glistening in Ginza this afternoon. It's dark by about 4:30 these days. I really love winter in Tokyo. Seeing all of the Christmas illuminations around the city. Buying hot green tea from vending machines at train stations. Snuggling under pompom beanies. Cooking Nabe. Planning nengajo. I haven't cracked out the hokkairo packs yet but maybe it's about time. Ah, I wish I had a kotatsu.